The host engages in a conversation with viewers who are interested in sharing their insights and opinions on a wide range topics. 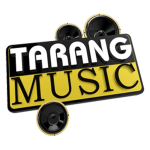 Tarang Music is a 24-hour music channel led by the well-known Orissa Television Ltd of India. The channel features Oriya music from Ollywood and Various other music video from Orissa. Most of the shows in Tarang Music requires call-in audience participation, where the callers speak to a video jockey and request songs that may be dedicated to their loved ones.